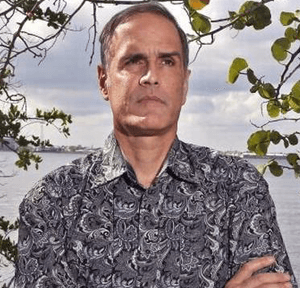 Over the past two years, Palm Beach County property records show, Fane Lozman paid $824,000 for five parcels of submerged land in Riviera Beach, totaling 24.46 acres. The land sits in a large lagoon between the mainland and Singer Island. It's in that glistening lagoon that he intends to turn his one-man endeavor into an upscale houseboat— er, "floating home" — community of perhaps 40 homes. He's dubbed his new property "The Renegade" and says there's been a lot of interest in his proposal: "Look at the little ding-dong condos going for 2-3 million bucks. I'll get you in a beautiful floating home for a little bit over a million, a million and a quarter. You'll get like a quarter of an acre of submerged land off Singer Island for a dock with utilities. You'll get a floating home, a spot for your boat, for your kayak, and you've got the [John D. MacArthur Beach State] park and the beach on the other side of A1A. It's the ultimate lifestyle. Wake up in the morning and jump right off the front porch. People are saying, 'Where do I sign up?'" Read the rest of the story here.